Potatoes are a staple ingredient for numerous dishes across the globe. In fact, potatoes are the fourth most consumed crop in the world, after rice, wheat and corn. This is because potatoes are easier to grow and cultivate. This starchy root vegetable is a good source of vitamins C and B6, manganese, phosphorus, niacin and pantothenic acid. You can eat them mashed, roasted, fried, baked, sautéed or as part of a salad or soup. But as it turns out, potatoes have many other uses outside the kitchen. In fact, they are a staple in big industries. 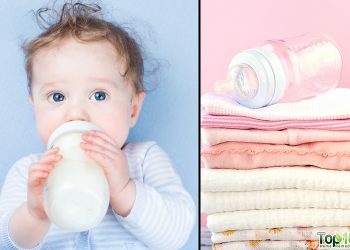 Potato starch is used extensively by textile, wood, paper, pharmaceutical and oil drilling firms as a binder, adhesive, texture agent, and filler. 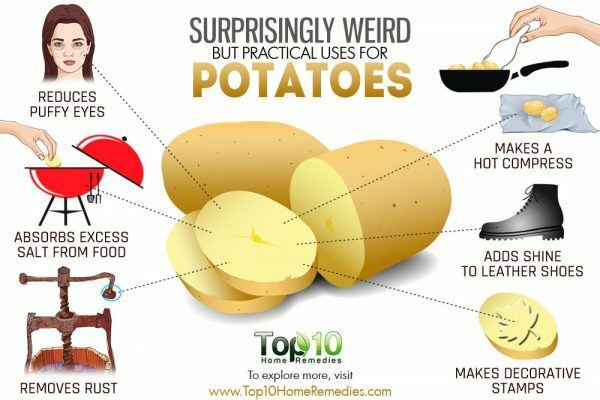 Apart from big industries, potatoes have interesting and practical uses in your house that you may not even be aware of. Here are 10 surprisingly weird but practical uses for potatoes. We all hate to see puffy eyes after waking up in the morning. 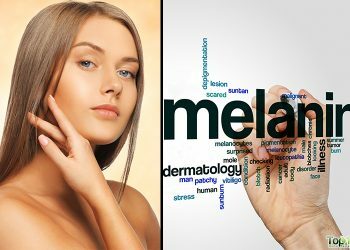 The puffiness can be due to crying, late night partying, a reaction to eye makeup, excess sleep or watching television for long hours after going to bed. No matter why you have puffy eyes, potatoes can reduce them successfully. The starch present in potatoes has anti-inflammatory properties that help reduce under-eye bags. Peel 1 large potato and cut it into slices. Chill the slices in the refrigerator for 30 minutes. 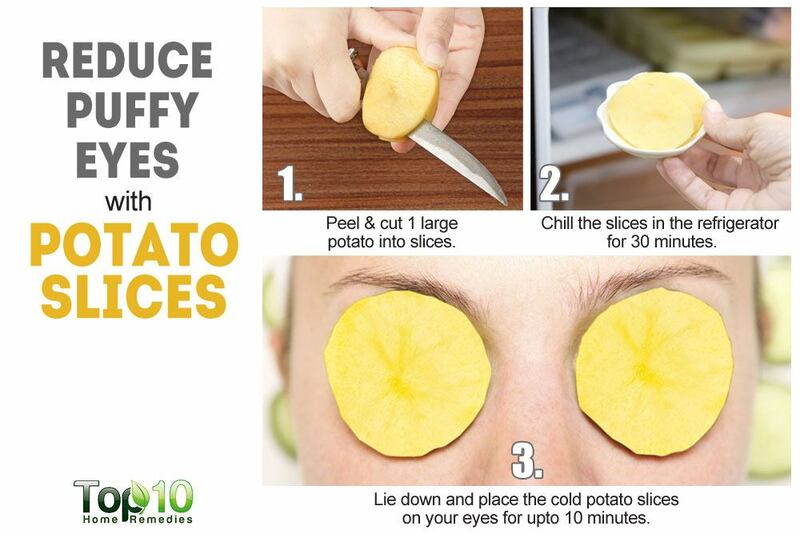 Lie down and place the cold potato slices on your eyes. Wait for 10 minutes and reapply again. If needed, repeat to make that puffiness go away. Apart from treating puffy eyes, potatoes help remove dark spots under the eyes as well. Potatoes are very effective when it comes to skin care. There are several nutrients and vitamins in potatoes that help keep skin pores clean of dirt, dust and other pollutants. 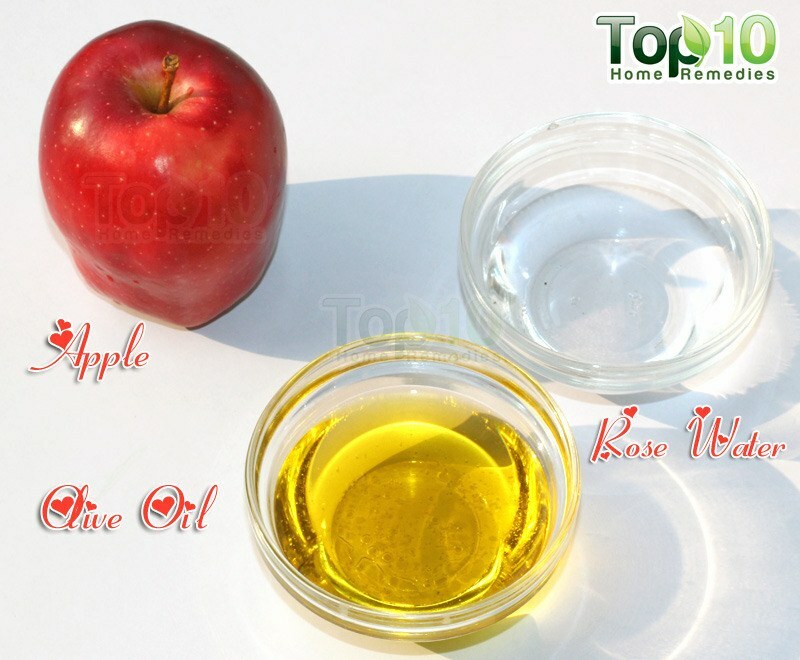 Plus, the starch and astringent properties in potatoes help reduce age spots and dark spots on your face. It is also good for fading a suntan. Slice a raw potato, rub it over your face and let the juice sit for 10 minutes. 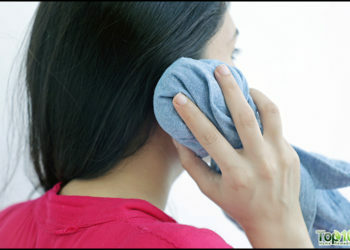 Rinse your face gently, and pat it dry with a towel. 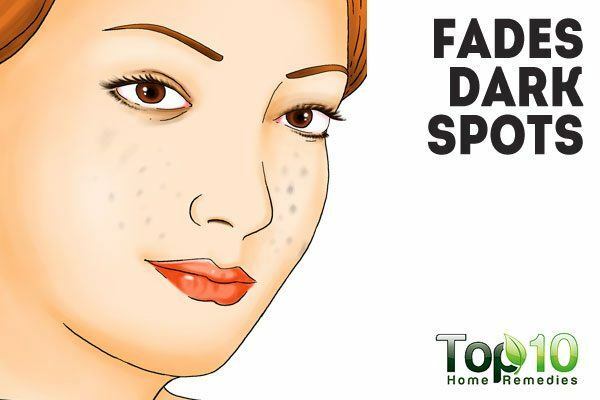 Do this once daily to get rid of any dark spots on your face. Make a face mask by processing 1 to 2 raw potatoes in a blender. Add a little lemon juice and ½ teaspoon of turmeric powder to the paste. Apply it on your face as a mask. Keep this on for about 15 minutes, then wash it all off. While cooking soup or stew, you may make the mistake of adding too much salt. 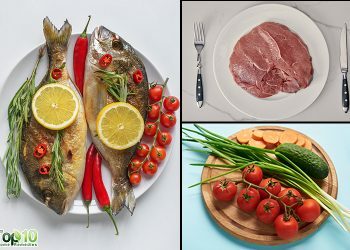 Excess salt can spoil the flavor, but this does not mean you need to throw away the prepared dish. You can use some raw potatoes to absorb excess salt from your prepared food. Remove the peel and cut some potatoes into thick pieces. Add the raw potatoes to the prepared soup or stew. Remove the potatoes and your dish will have the perfect salt to taste. 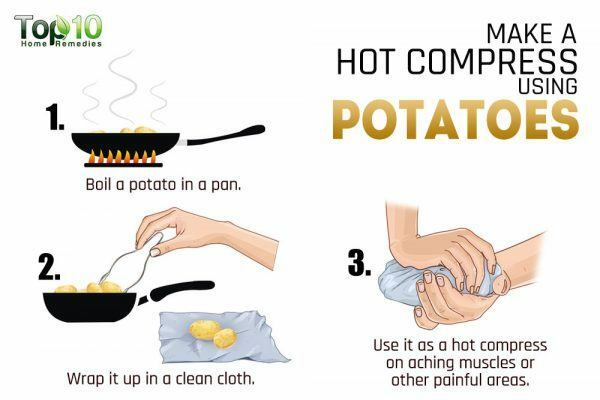 As potatoes have the ability to retain heat and cold well for extended periods of time, they make a great hot or cold compress. To make a hot compress, bake or boil a potato and wrap it up in a clean cloth. Use it as a hot compress on those aching muscles or other painful areas. For a cold compress, refrigerate a boiled potato for at least 1 hour. Wrap the chilled potato in a clean cloth or sock and use it as needed. Peeling carrots or beetroots, chopping berries, carving a pumpkin or using turmeric powder can put unsightly stains on your hands. 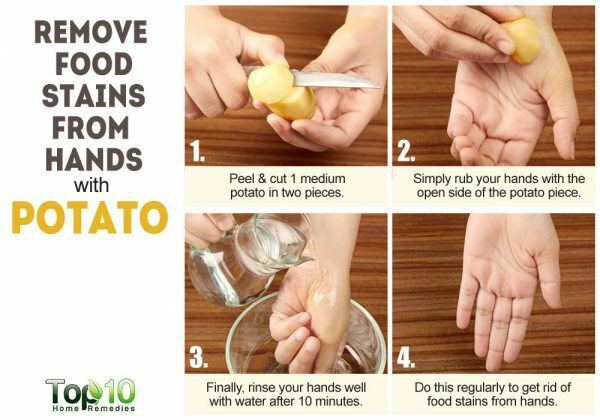 To get rid of these stains, instead of harshly scrubbing your hands with soap over and over again, you can use potatoes. 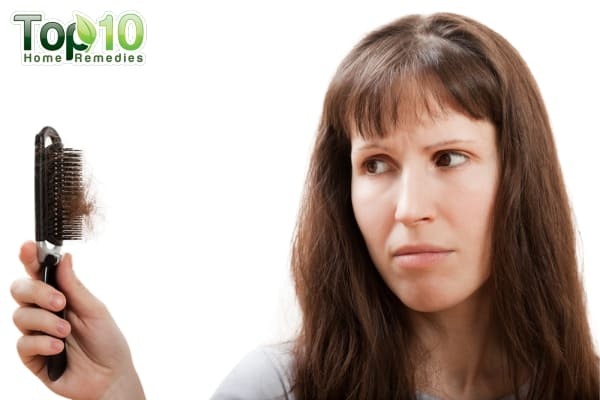 In fact, nothing works better than raw potatoes when it comes to removing food stains from skin. Simply rub your hands with the open side of a cut potato for a couple of minutes. Wait another 10 minutes to allow the potato juice to do its work. Finally, rinse your hands well with water. 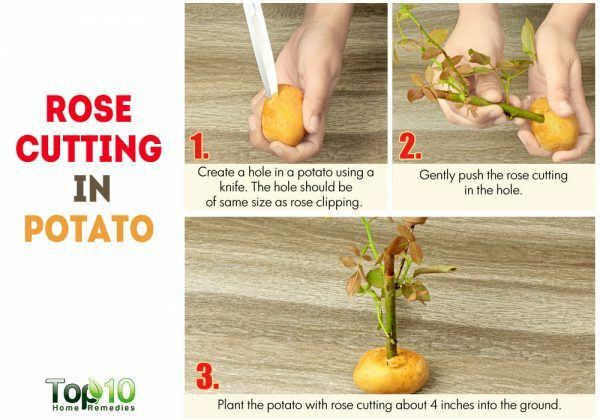 Placing a rose cutting into a potato can help with successful rooting of the plant. The potato helps keep the cutting moist and provides the necessary nutrients required to begin rooting. Plus, when the potato decomposes, it acts as a fertilizer. You can use a white or red potato for this purpose as they have high moisture content. Create a hole in a potato using a clean screwdriver. The hole should be of the same diameter as your rose clipping. Gently push the rose cutting in the hole. Plant the potato with rose cutting about 4 inches into the ground. Note: Make sure to use an organically grown potato not a regular supermarket potato that has been treated to inhibit sprouting. Apart from cleaning tarnished silver and rusty metal items, potatoes can also be used to clean up your leather shoes. The juice of raw potatoes can help make your shoes look shiny. 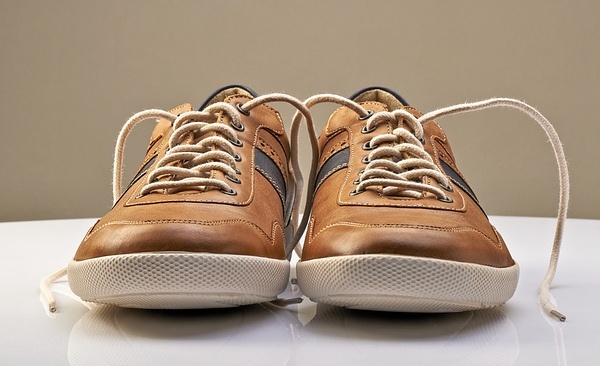 It can effectively restore old, beat-up shoes. Cut a raw potato in half. Use it to rub your old leather shoes. Set them aside for 5 minutes. Wipe off the juice with an old cloth or paper towel. Finally, buff your shoes with a cloth or brush. Your shoes will look nice and shiny. 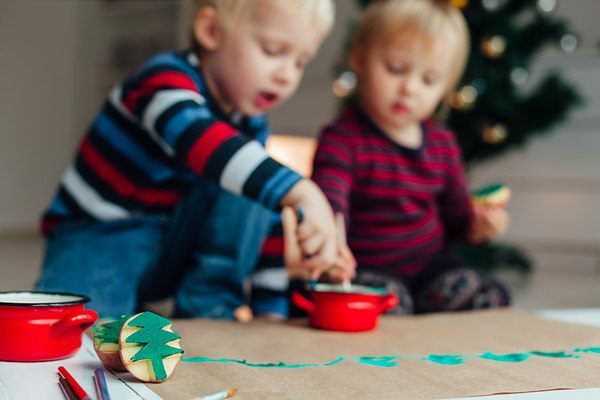 Due to the sturdy nature of potatoes, you can use them to make decorative stamps for a fun activity to do with your children. A potato stamp works as a great medium for decorating holiday cards and envelopes. Cut a large potato in half widthwise. Carve a design on one half, using a pen knife. Slowly slice away the extra potato parts, so that the design protrudes from the rest of the potato. Dip the designed part in fabric paint or liquid color. Start stamping as you would with a wooden version on a canvas. There is no need to buy expensive silver polishing products to keep your silverware shiny. A regular potato works as an effective silver polish. The starch content in potatoes aids in removing unsightly tarnish from your silverware, making it shine brilliantly. Cut up a few potatoes. 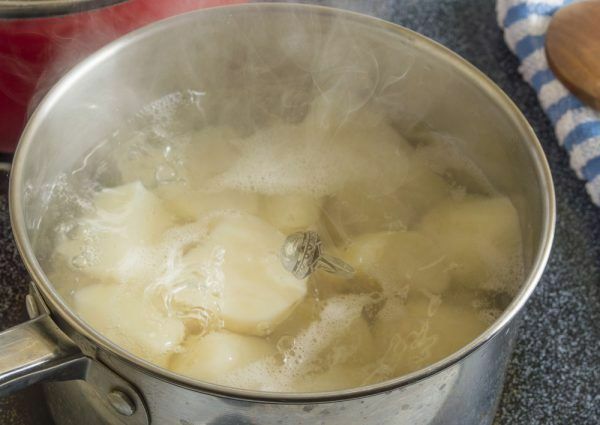 Put the potato pieces in a pan of water and bring it to a boil. 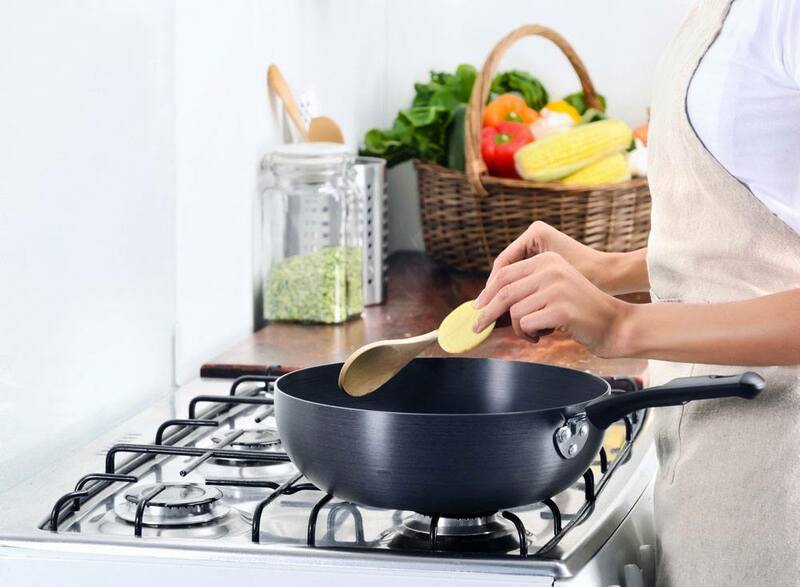 Remove the boiled potatoes and set the water aside. Soak your silverware in the potato-infused water for about 1 hour. Remove the silverware from the water and use a soft brush to gently scrub it. Finally, rinse it well with water and wipe thoroughly with a clean towel. 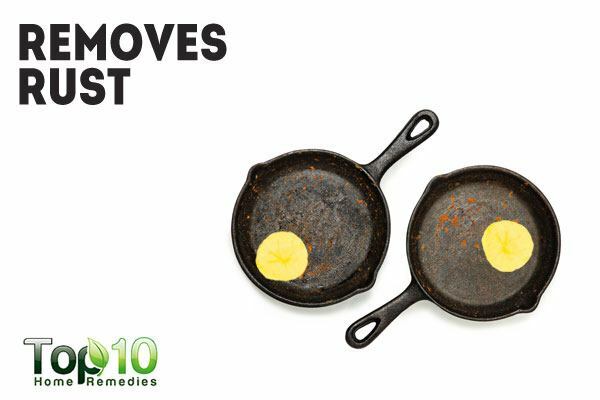 Potatoes are a surprisingly effective agent for removing mild rust from old utensils, gardening tools and other metal items. The oxalic acid in potatoes dissolves the rust, removing it from the metal surface and restoring it to its former glory. Cut a large potato into thick pieces. Rub the pieces on the rusted area. Rinse the object with water and dry it thoroughly afterward.